Click on the logo to learn more about early February’s writers’ symposium. 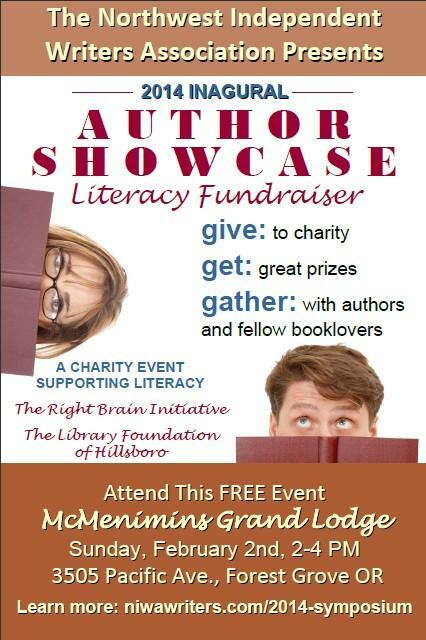 February 1st and 2nd, at McMenamin’s Grand Lodge in Forest grove, Northwest Independent Writers’ Association has invited several successful independent authors to share their experience and guile. Perhaps you’ve written a book, so now what? This is a golden opportunity for anyone wanting to write a book, or for anyone who has a book written and is considering small-press or self-publishing. How do you make sales? I don’t know. I’m going so I can learn how to market my books and short stories with greater results. Perhaps you are upset because the Superbowl starts at 3:45? Don’t sweat it; the conference is over at 2pm on Sunday. You’ll have plenty of time for traveling to that big party in downtown Portland before kickoff. You won’t even need to drive like a maniac, it is very possible to get from the Grand Lodge to Downtown Portland in less than and hour. WHAT!?!? You don’t like the Superbowl? Well, I don’t like commercialism. I’ll be hanging out at the Grand Lodge with about 30 other authors practicing our new-found skills on unsuspecting partiers at the Grand Lodge. I’ll grab them by the shirt and say, “Buy my book, or else I’ll…” ―just like that. But seriously, there is an author showcase after the conference featuring over 30 authors. There will be at least one book for anyone who’d prefer to nurture their mind and read rather than listen to Pepsi and Budweiser boast of how much money they can spend on marketing. The Author Showcase also supports two great charities. See below, or click on this NIWA link for more information.